Get all the tips you need to tackle the CMA exam essays in this free webinar! To maximize your points on the CMA essays, you need to know how they work and what a good response looks like. Where can you get those details? From Gleim CMA. 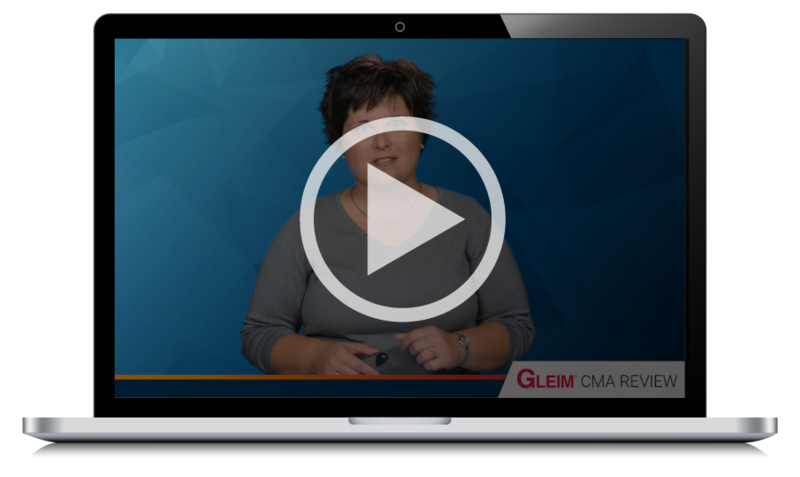 As the first CMA review provider with the longest history of helping candidates pass the exam, Gleim CMA knows that the essays can be tricky, but we also know how to get you through them successfully. This webinar presented by Professor Amy Ford, CMA, CPA, contains some of our best essay advice (the rest is in our course). Watch it now to start conquering the CMA exam essays.